The rumors were correct. Loic Le Meur, a well known European entrepreneur that recently relocated to San Francisco, will unveil his new video startup, Seesmic, this morning into a closed beta. I’ve been testing the service over the weekend and, even though it is yet another video startup, I think Seesmic is both fun and addictive. Screen shots and full review are below. A lot of the functionality behind that vision won’t be built for a while, though. For now, they are sticking to the basics. But a key foundation of the service, right from the start, is that the service is very open with user data, both inbound and outbound. Video Twitter: Each user has his or her own page and can create videos directly from a webcam and publish them to the site as well as other social networks (see below for more on that last point). Or, a user can simply add a URL to a video on any of the major video sharing sites and add that to their stream. To the right of the main video viewing area shows a list people you follow and/or who follow you (similar to how Twitter handles friends). 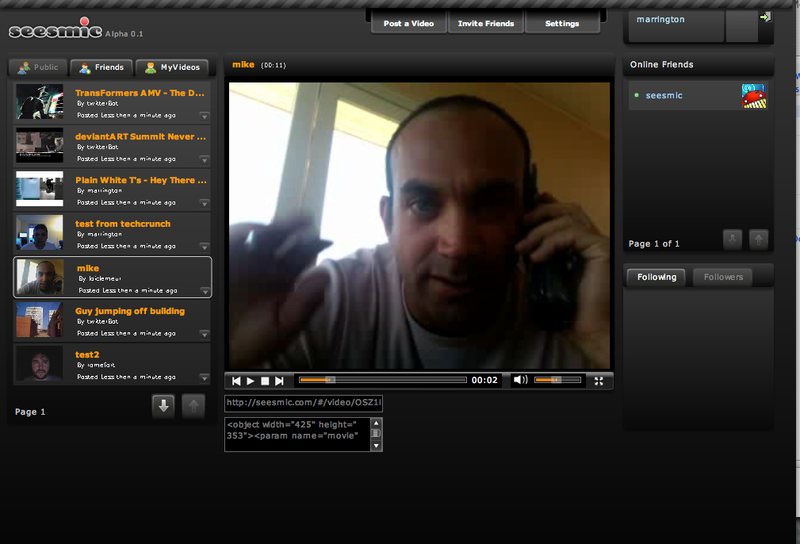 Once both sides follow the other, they become “friends.” To left of the main video area is a list of videos with three views – all user videos, videos from friends, and your videos. See the screen shots to get a better understanding of this. The videos listed on the left are not just videos uploaded to Seesmic; the service is also indexing Twitter to find all links to videos that people have posted, and are including them in the list. The idea, Le Meur says, is to find not just popular videos, but videos people are actually sharing with friends and discussing with others. Using Twitter videos is a good way to seed that content. 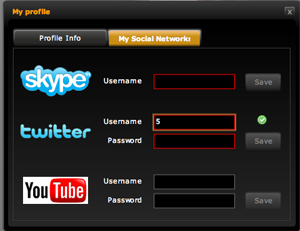 Social Network Integration: Users who choose to do so can enter their YouTube or Twitter credentials (and soon Facebook and other sites). When you upload or create a video on Seesmic, a link to it is automatically posted on Twitter, uploaded to YouTube, etc. As they add more services, their hope is that users focus all their video attention on the site and distribute those videos through other social networks. Soon users will be able to add Seesmic as a friend on Skype and other instant messaging platforms that support video. 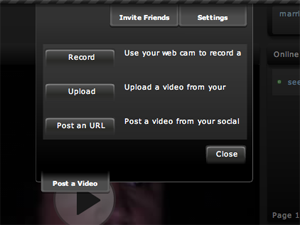 Click on the friend name and record a video from that service, and it will be uploaded to your Seesmic account. Even better – when you and a friend have a video chat on Skype, you can add Seesmic as a friend and the conversation will be recorded and posted on Seesmic as well. There’s also some basic stuff that they haven’t added yet but will be in place very soon – RSS feeds for users (with iPhone-compatible MP4 enclosures), video phone uploads, comments (text and video) and ratings on videos, etc. Le Meur also says they will be launching a Joost widget that allows users to interact with stuff they watch on Joost, too. In what Le Meur calls the second stage of the startup, the team will create an “open, crowd sourced and community driven online TV.” The user generated videos gathered on Seesmic will be gathered to produce topical daily shows around communities. The best authors, Le Meur says, will get a revenue share from shows. The company will also have an open studio in San Francisco (more cities coming) where people can drop in and create video content. One way I know I like a service is if I find myself messing around with it long after I have gathered enough information for a review. I’ve been clicking on Seesmic videos all night when I could have been done with it hours ago. It feels like it has the simplicity of Twitter (v. say, Kyte, which seems like it tries to do possibly toomany things at once). It’s way too early to call Seesmic a winner, of course, but I think both video creators and video consumers will like hanging out on the site.